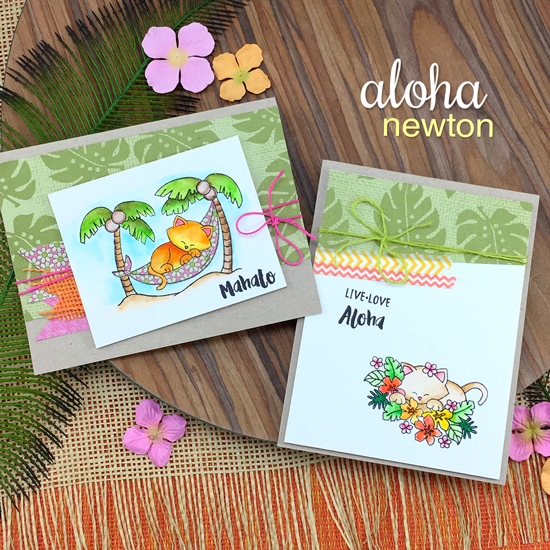 Today is our last reveal day for our July Release and we are featuring our new stamp set, Aloha Newton and a new stand alone Hibiscus die set ! We are giving a $20 store credit to one lucky winner today too so make sure you read all the way to the bottom of this post to see how to win! Our favorite feline, Newton, is taking a summer vacation to the islands! This adorable 4 x 6 stamp set is features Newton relaxing in the tropics. 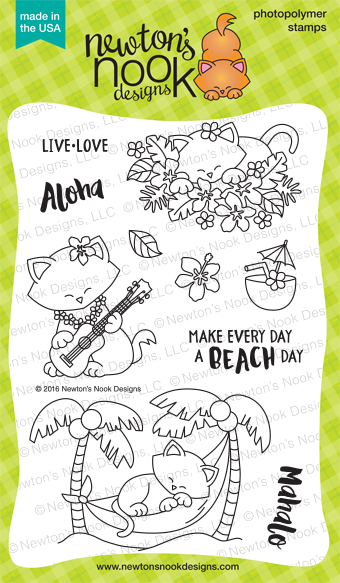 You will have so much fun coloring the images of the kitty hanging out in the tropical flowers and napping in a hammock. Newton even found a kitty -sized ukulele to play! Use this set to make fun tropical greetings or add them onto vacation and summer scrapbook pages too. 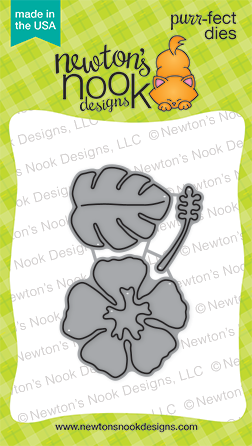 To finish out our tropical summer theme we also added a fun new stand-alone die set with a hibiscus and tropical leaf! This set will be fun to use by itself or in addition to any of the stamp sets we've shown this week! Let's go to the tropics today with inspiration from our Design Team! Check out all the awesome projects below from our Design Team below - Then, make sure to click through to all their blogs for details on their cards - Most of the designers have additional cards on their blogs and you might even find a fun video or two along the way! Make sure to comment for a chance to win! Details on the giveaway are at the bottom of today's post. 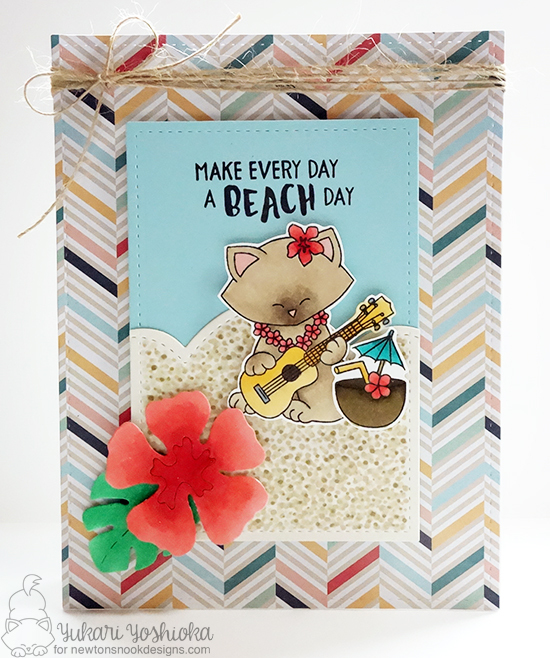 Yukari created this adorable card with the kitty playing the ukulele on the beach from the Aloha Newton stamp set! She also added in a big bloom using the new Hibiscus die set. This stunning Hibiscus card by Samantha uses our new Hibiscus die set. Check out that striped leaf! She added in the "Mahalo" from the Aloha Newton stamp set. Kimberly created a trio of pretty blooms using the new Hibiscus die set. They make the perfect spot for the kitty from the Aloha Newton stamp set to play his little ukulele. 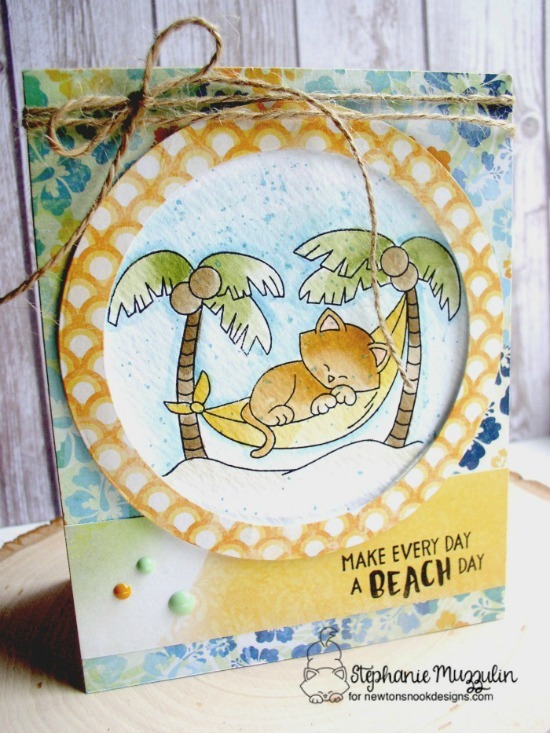 Newton looks so cozy in his hammock on the beach in this card by Stephanie. 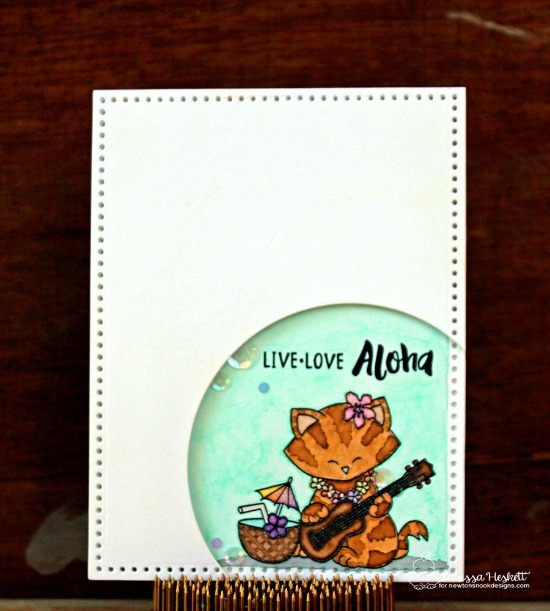 The cute kitty image and the sentiment are from the new Aloha Newton stamp set. 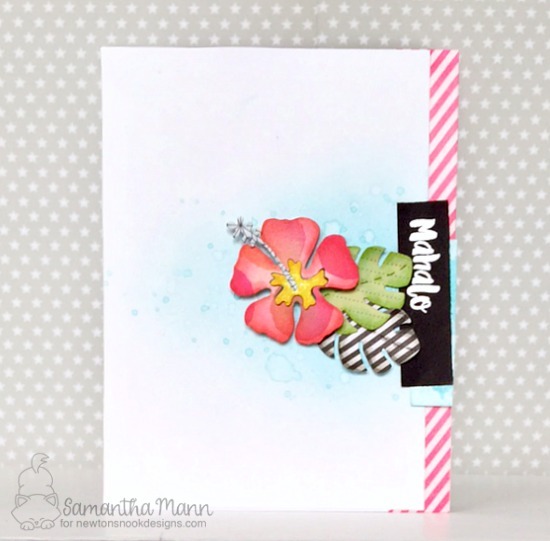 Naki created a ton of pretty blooms on her card using the Hibiscus die set! What a beautiful card! 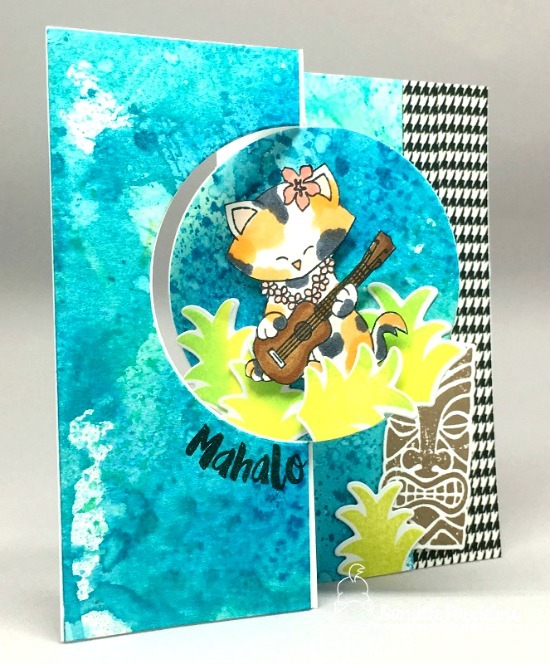 Danielle created this amazing card with the Aloha Newton stamp set! I love how the card folds to show off Newton playing his ukulele. She also added in a tiki face from the Tiki Time stamp set and used the tops of the pineapple from the Pineapple Delights to create grass! So creative! 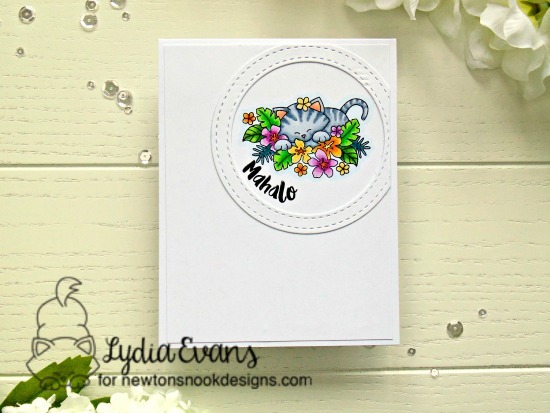 Lydia created this adorable clean and simple card using the image of Newton playing in the flowers from the Aloha Newton stamp set! I love how the bright colors pop off the white card base! 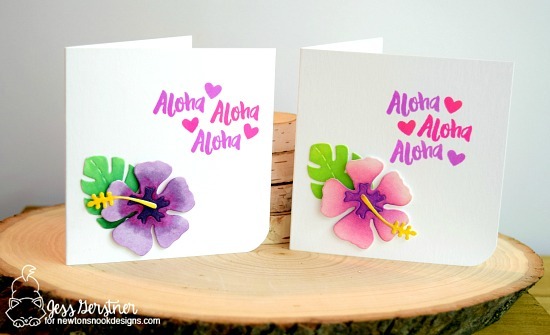 This duo of adorable Hawaii cards is by Jess! She created the same design in two coordinating colors to make a little set of notecards using the "Aloha" from the Aloha Newton stamp set and the created the flowers with the new Hibiscus die set! 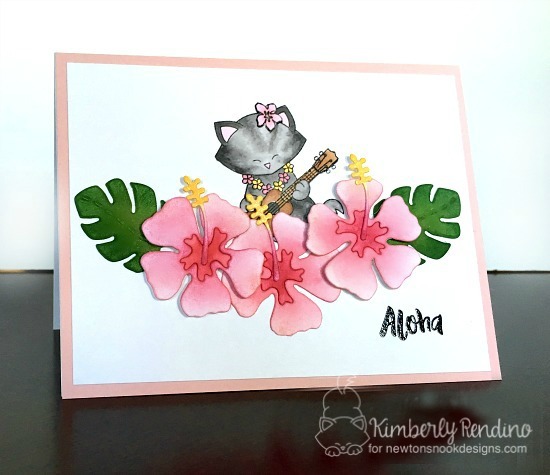 Larissa created such a cute little scene with Newton and his ukulele from the Aloha Newton stamp set. Isn't it cool how she added pretty stripes the the kitty? This beautiful clean and simple card is by Crafty Math-Chick. 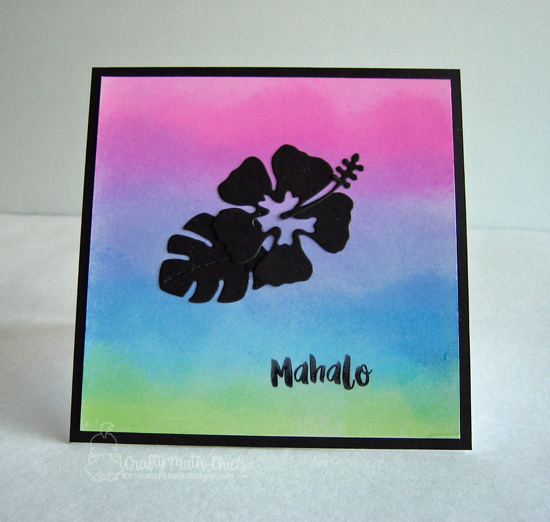 She created a gorgeous ombre for the background and then added a black die cut hibiscus using the new Hibiscus die set. She also added in the "Mahalo" sentiment from the Aloha Newton stamp set. Here's how to win: Comment on the NND blog and Design Team blogs (see list below)! The winner will be chosen at random from the collective blog release posts. Make sure to check out each of their blogs and comment for your chance to win. You will not know which blog has been chosen so the more you comment on the better your chances are of winning! You have until Thursday, July 14th at 9pm CST to comment -- winners will be announced on the blog post on Friday, July 15th. Oh my! These are awesome!! Love! Another tropical set that has me smiling (and wishing I could pack my bags and head to an island beach!). Newton is darling; the hibiscus and leaves dies amazing! DTs have outdone themselves yet again...what a talented group! Beautiful sets. Love the hibiscus dies. Fabulous cards! I love this set and the new dies!! I am IN LOVE with these DELIGHTFUL stamps and GORGEOUS dies!!! LOVE the INSPIRATION everyone has shared too!!! LOVE, LOVE, LOVE the Aloha Newton set! Thanks for the chance to win! Newton napping in a hammock! How perfect is that!!!! Thank you for a fabulous new release. Always so much fun to see what Newton is doing next. What a fabulous tropical set with Newton! I love this! Sooo cute!! What a darling stamps set! LOVE that die too!! I knew Newton would make an appearance! :) Darling new stamp set and awesome dies too! Love the Hibiscus! 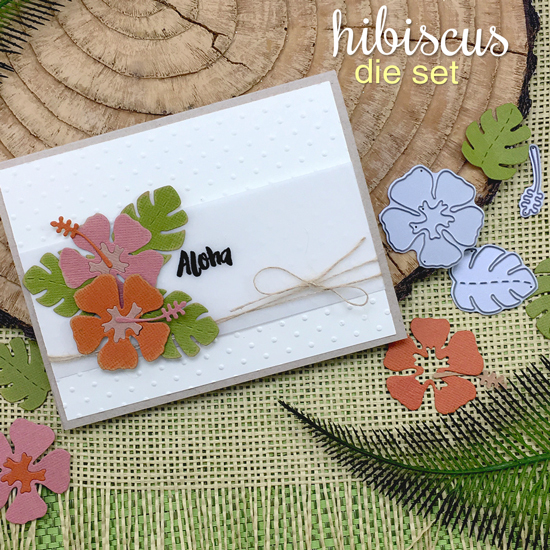 Hibiscus die set is awesome! Such a fantastic release. Newton is darling in all the poses he is in and the hibiscus die set is terrific. Can't wait to add to my collection of crafting supplies. Awwww Love Newton in that hammock! So cute! I really like that stand alone die too! All the creations and the stamp set are just adorable! Oooh! I love those hibiscus dies! I could make some gorgeous cards with them. Oh, this set makes me long for Hawaii. I haven't been to that island paradise in 15 years but I hope to go back in 2 years....in the meantime making cards and projects with an island vibe will be awesome. This is a must have set for me. Oh, the cuteness, the cuteness! Newton is sweeter than ever! And the hibiscus die is absolutely gorgeous - I have this plant in my living room - the blooms are gorgeous! This is one of your best releases ever! It was a fun hop! Happy 3rd Anniversary! Wishing you many more years of success! It's so funny... all I could think of yesterday is that Newton really needs to be in a hammock between those lovely palms and BAM! Here he is today!! : ) And in the hibiscus with the hibiscus die! This release tops my wishlist! Congrats on a fab first three years!!! I LOVE your cards! Your coloring on the kitty images are gorgeous! 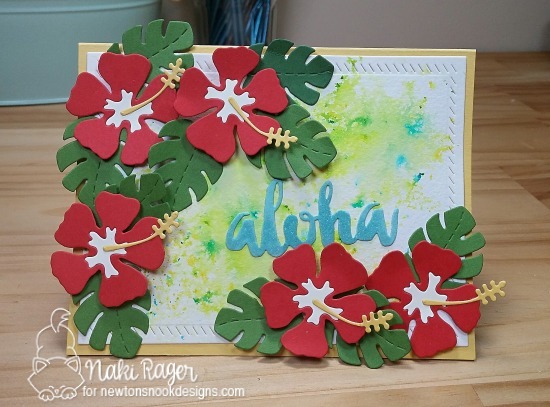 And I love that you used textured paper for the hibiscus die, it's beautiful!!! I so want the aloha set. an team made amazing cards! I try to imagine one of my cat playing guitare..... I prefer to change the image to my cats in an hammock : it's more relaxing !!!!! Some of these are beautiful and some are just plain sweet! Love Newton! What wonderful stamp sets! Great release! !